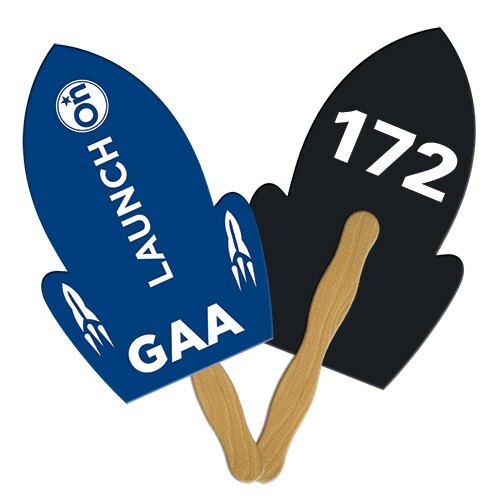 Same as our Laminated Stick Fans, but with consecutive numbering printed on either the front or back. Below pricing includes FULL COLOR printing on BOTH sides, film laminated 22 pt paper board and a wood stick glued to the back. Image is shown with white plastic stick, which is available for an additional $0.06 per fan. To request a template, please call (800) 680-0378, ext 214 or email info@cat805.com.